It's the first time the album has been pressed to vinyl (180g heavy double vinyl format) since its original CD release in 2003. 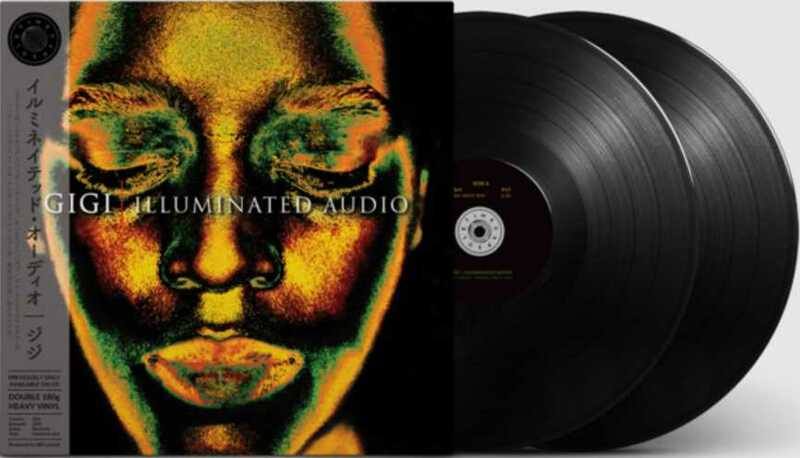 Kay Suzuki's Time Capsule imprint has just announced the reissue of Illuminated Audio, Bill Laswell's legendary dub reinterpretations of Ethiopian singer Gigi's self-titled US debut album. Due for release on the 10th of May, the remastered reissue comes with original artwork by Russell Mills, photography by Jean-Baptiste Mondino, and liner notes from journalist Tyran Grillo. You can pre-order a copy here. Following reissues of Japanese fusionist Yuji Toriyama and Italian new age visionary Il Guardiano Del Faro, Illuminated Audio by Gigi is a welcome addition to the Time Capsule universe. Overseen by Tokyo record collector, music researcher and seasoned reissue supervisor Ken Hidaka, it's the first time the album has been pressed to vinyl (180g heavy double vinyl format) since its original CD release in 2003. Gigi (Ejigayehu Shibabaw) was born in 1974 in Chagni, northwestern Ethiopia and by pursuing a career as a singer, went against her father's strict, traditional gender roles. She made music with the same freedom she had strived for in her personal life, incorporating Ethiopian church, funk, hip-hop, West and South African music into her work. Gigi settled in Nairobi, then Addis Ababa, where she became one of the city's leading singers. A move to San Francisco in 1998 led to a long and fruitful creative partnership with bassist and producer Bill Laswell. After leaving Island Records to start the art house film company and label Palm Pictures, Chris Blackwell took an interest in Gigi. With Laswell, he pulled together an all-star cast of musicians for her self-titled US debut album, including Herbie Hancock, Pharoah Sanders and Wayne Shorter. It won international critical acclaim, not just for her music, but her advocacy for Ethiopia's international community. With Blackwell's encouragement, they remixed the album, leading to the release of Illuminated Audio two years later. Hidaka describes it as a "masterful sonic exploration into ethereal ambience and dub," one you'll want to sink into on your own terms. Head here for more information, and listen to some excerpts via soundcloud.